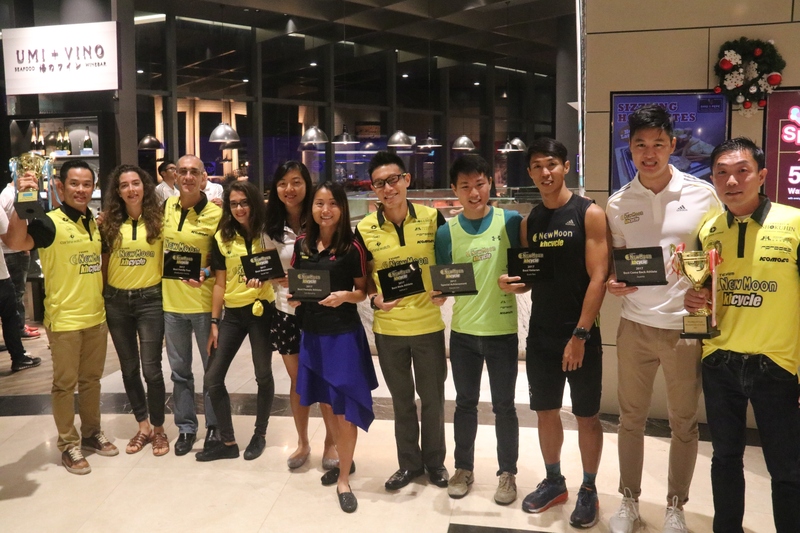 New Moon KH Cycle (profiled in October’s newsletter) had a successful racing year winning the 2017 MetaSport Club Challenge, a trophy awarded to the club who scores the most points across all of MetaSport’s Singapore events for the year. A small but talented group, New Moon KH Cycle enjoy socialising as much as training, and they were recently presented with their trophy, prize hamper and souvenir championship mugs at their year-end dinner. Club founders Smiek and Wayne were very pleased to receive the trophy on behalf of all team members, the culmination of a successful year for the club. All content Copyright © Metasport 2019 All rights reserved.